5th Spen Valley Scout Group - Gomersal. New Tents. West Yorkshire Free Masons have kindly donated £1500 for the group to buy new tents. 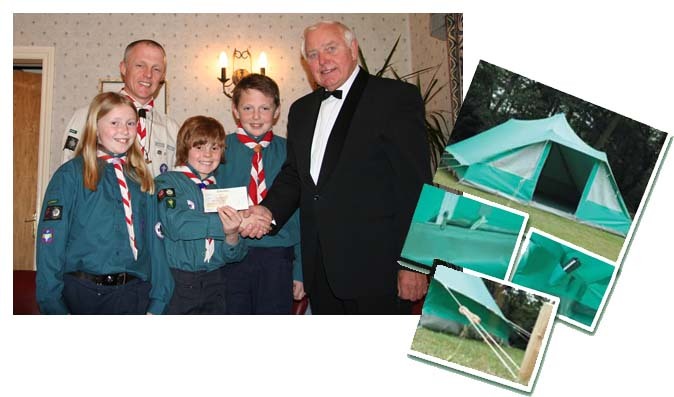 Mr. Peter McVeigh presented the cheque to the Scouts at 5th Spen Valley's Spring Ball. Our grateful thanks go to all the Masons for their great generosity. The online shop is now closed. Copyright © 2010 5th Spen Valley Scout Group. All rights reserved. Edited and produced by the 5th Spen Valley Scouts.